Japanese and US detectives must work together and risk their lives to infiltrate the enemy hideout of a large syndicate and a crime organization that dominates western Japan. Use your punches, kicks, and deadly special moves to accomplish your mission! 'BURNING FIGHT' is an action game released by SNK in 1991. Japanese and US detectives must work together and risk their lives to infiltrate the enemy hideout of a large syndicate and a crime organization that dominates western Japan. Use your punches, kicks, and deadly special moves to accomplish your mission! 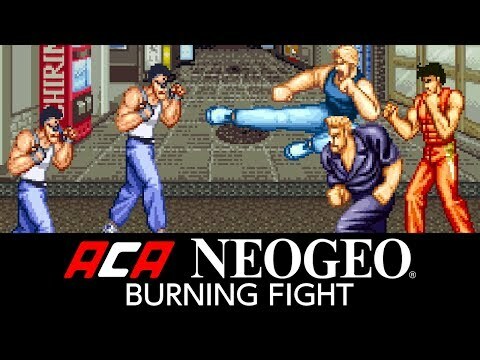 See ACA NEOGEO BURNING FIGHT in Action!